Part of a matching range of lamp shades styled in an oval design with cut corner edging in a range of sizes. 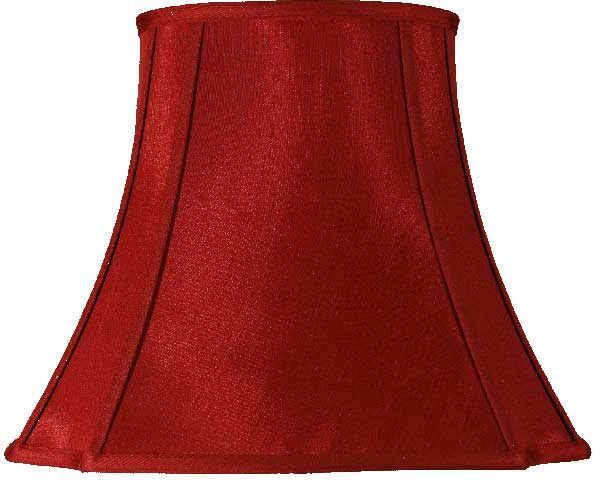 This wonderful 20 inch deep wine coloured lamp shade is fully lined and is made in a mock silk fabric with a matching trim. The 20 inch lamp shade is the perfect choice for the slightly shorter standard lamp. Height 15.5 inch – diameter 20 inch. Please note, this shade requires a shade carrier.